The town is not allowed to sue the U.S. Military. Since I wrote The U.S. Military is Poisoning Germany last week, the small municipality of Wittlich-Land, near the US/NATO Airbase Spangdahlem, filed suit against the Federal Republic of Germany for the costs of removing and disposing sewage sludge contaminated with Per- and polyfluoroalkyl substances (PFAS). The lethal material cannot be spread on fields for fear it will poison crops and animals; instead it is incinerated, which is very expensive – and not so good for the air. 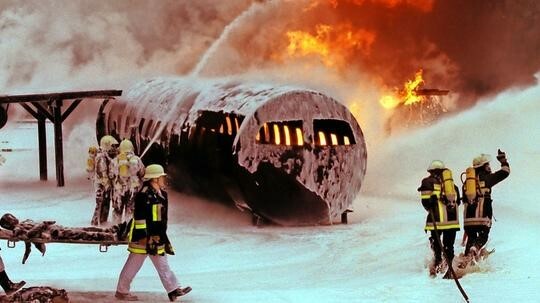 PFAS compounds are found in fire-fighting foams routinely used on NATO bases. For training purposes, U.S./ NATO forces light massive, hot fires then extinguish them using these foams. Afterward, the residue is allowed to sink into the ground to pollute the soil, sewers, and groundwater. The U.S, has contaminated thousands of wells and water systems around the world. The small town of Wittlich-Land is not allowed to sue the U.S. Instead, it is suing the German government for damages. Meanwhile, the German government, which paid for the cleanup of the contaminants for years, has stopped doing so, leaving the town with the tab. The German press reported that Spangdahlem was found to have groundwater contaminated with PFAS of 1,935 parts per trillion, ppt. It’s not the focus of the Wittlich-Land news report. Instead, it is an indicator of the severity of the problem. The Allied Air Command Ramstein Air Base, by comparison, has groundwater with PFAS at 156,500 ppt. The problem at Ramstein is 80 times worse! 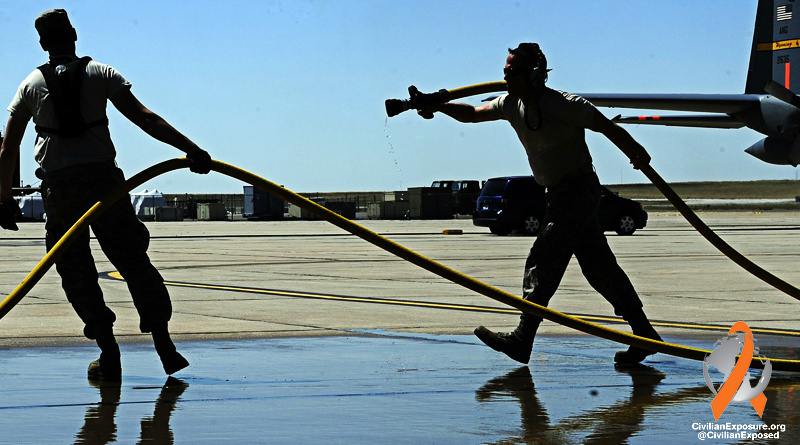 It sounds horrible – and it is – but the groundwater at England Air Base in Alexandria, Louisiana, which was closed in 1992, was recently shown to contain 10,970,000 ppt of PFAS. That’s 5,669 times more poisonous than Wittich-Land. These chemicals last forever. This is a nightmare. It is the stuff of intriguing historical and cultural difference that the people in Wittlich-Land are screaming while the folks down home in Louisiana are not. Oh! I forgot the mention the health effects of this stuff. Harvard scientists say 1 ppt in drinking water is dangerous. American military liability could be in the trillions of dollars world-wide. Wittlich-Land is in the crossroads of human history. Any bets on which way the court case will go? Here’s the link to the piece in German.